I realize it’s a terrible disservice to Heidi Swanson’s body of work to invoke an instant ramen comparison. What I should be doing is telling you how I’d planned to casually leaf through her new cookbook Near & Far and pluck out some genius ideas, but instead I read every story, every surprising technique (spill spice oil over a frittata! wash arugula in wine! ), and every unusual ingredient pairing (sweet potatoes with dill, strawberries with caraway, what’s next?) for hours until I fell asleep next to it, curious and happy. I could tell you how the photo spreads of tile patterns in Morocco and dreamy Roman vistas will inevitably create travel FOMO, but nestled into each page I found even more inspiration to simply make food. 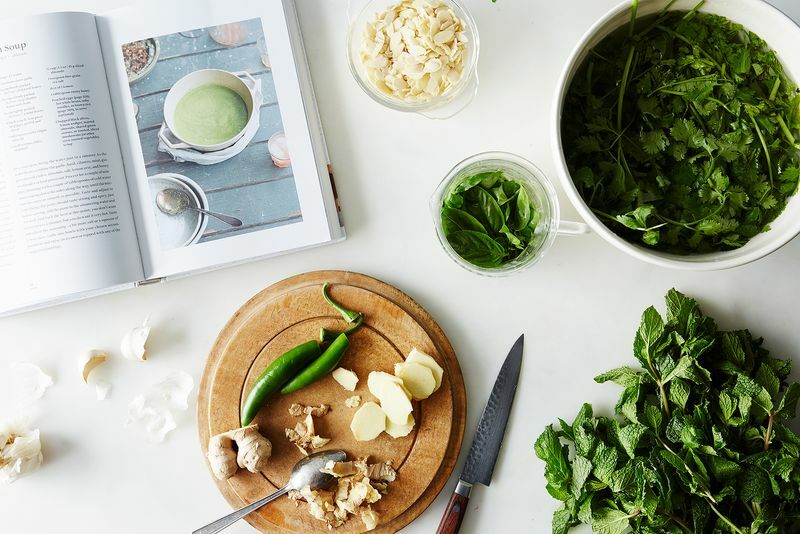 On top of all that, there was this recipe for a spicy green soup that doesn’t require making stock or slowly building flavors or even, in a literal sense, cooking. You just add water, rather like a Cup O’ Noodles. 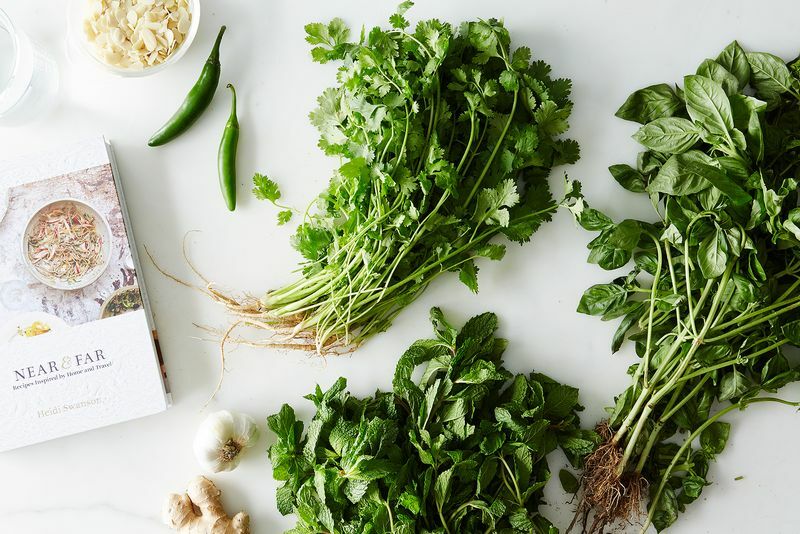 Except instead of a salty space-age seasoning packet, you’ll blend an herby spice paste, stir it into just-simmered water, taste, correct, and serve. 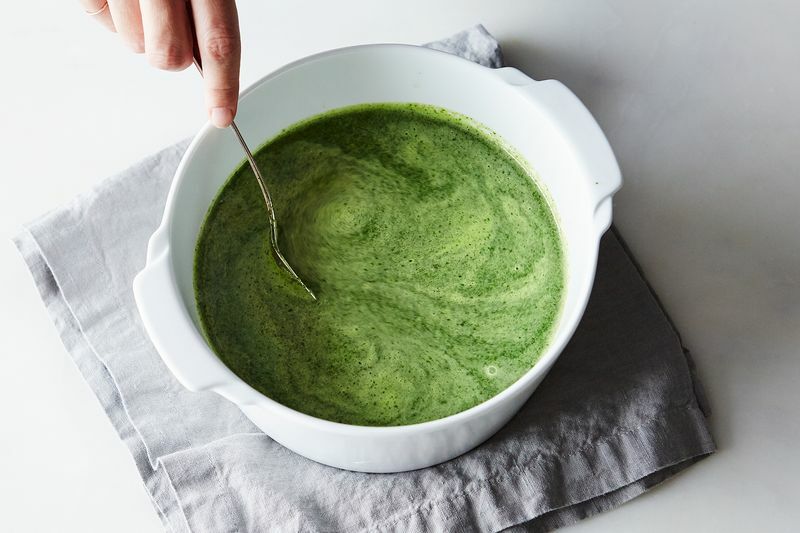 By choosing ingredients whose aromas are dense and volatile and slashing them into tiny particles, the soup doesn’t need (and would likely suffer from) sauté or simmer time. 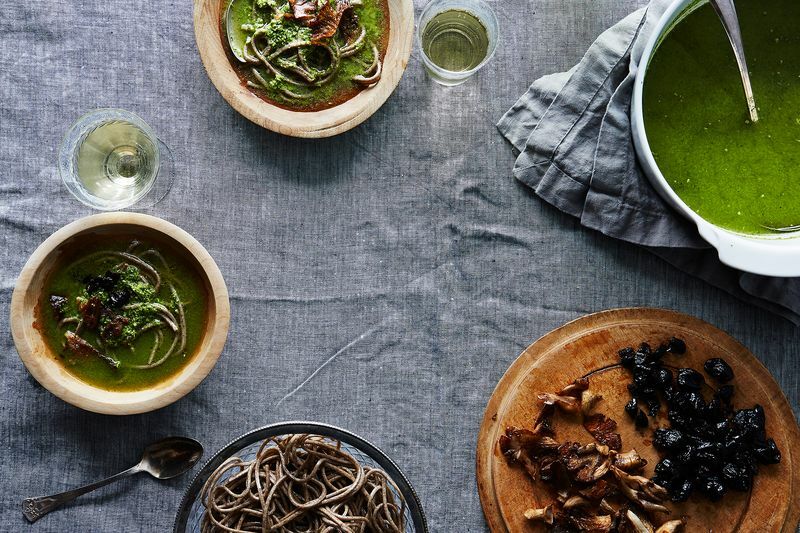 From the list of possible bases and toppings she mentions in the recipe, on shoot day I chose soba noodles; roasted mushrooms; and wrinkly, oil-cured black olives; plus loads of lemon juice. Fine bits of nuts and greens landed on the noodles, while others swirled, suspended in the broth. Click through for the full recipe on Food 52. Food52 is an online kitchen and home destination. Follow along on Instagram @Food52.